A-1 Airport cars operate 24/7, day and night to provide you effortless transport across Michigan to and from the DTW airport. You get luxury transport service upto around 200 miles radius, so you can rest assured of the city coverage. Detroit Metropolitan Wayne County Airport, commonly known by its Airport Code DTW is a major international airport in the suburban city of Detroit. It is one of the busiest yet plush and modern airports. Our Detroit Airport Transportation and Taxi Services in Detroit work round the clock to make sure that you get hassle-free ride 'to and from' the DTW airport. We provide pickup & drop off within 200 miles of the Detroit international airport, therefore covering the entire state of Michigan. Travellers frequently need Detroit Metro Airport Taxi Service or DTW Airport Shuttle and are look out for a reliable service. After a long, tiring flight you can use a lot of modes of transport like the rail, the express tram and public bus to get home, however the best and most preferred way is by private airport taxis or luxury limo cars. This way, it is much convenient handling the luggage, and safe to travel with children and family, than compared to public transport. The city of Detroit is never sleeping. The continuous movement and hustle bustle of the city can get annoying at times. The dinging gates, the jam-packed parking and terminals are only a little part of the city’s traffic. Experiencing this at hours after a tiresome flight can be dithering and hence a well-informed, chauffeur driven, door-to-door transport service is duly advised. Our flexible service allows for us to track your flight timings in real-time and simultaneously adjusting pickup or drop off due to delays or cancellations without any prior information. This service helps you save valuable time and avoids undue turndowns. After a long flight, it is essential that you find yourself a service that provides you utmost comfort and we assure you just that. Your Luggage will be taken care of too and our courteous drivers will always be ready to help you with it, while departing or arriving to the airport. A-1 Airport cars provide top notch facility for airport transfers in and around the metropolitan of Detroit area. As top-quality system of transportation, we specialize in all conveyance services which are to and from the Detroit airport. You can rely on our service for DTW Metropolitan airport transfer at any time of the day, all days in a week and avail the finest service at reasonable price. Reliable and always on-time service is what you can count us for! Nothing can be more daunting than getting late for your flight, or the challenge of reaching straight from airport to your corporate meeting or convention without getting late. We are totally dependable for being timely always! Rest assured! We have a wide range of car collection available at your disposal, any time of the day. 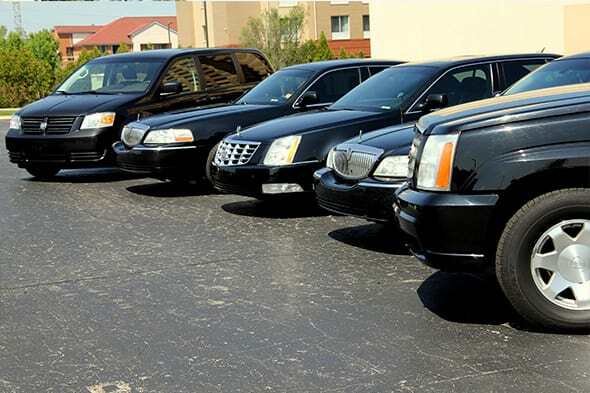 Reliable, luxurious and comfortable cars like the Lincoln town car and the Cadillac vans, we provide all such vehicles accompanied with experienced drivers who have been in the industry for over a decade or so. Our well-mannered, well trained and well experienced chauffer’s will guide you through without any issue at any time of the day. We have 10 and 14 seat passenger vans to serve a business group or large family too! For the enterprise corporate segment, you can hire our stretch limos or escalade SUVs as well. As we said, we have a car for every occasion, for every budget. Our premium services include offers which buy you a private door to door facility from the DTW airport to the destination that you choose. We are well known to most of the tourist hotels and popular destinations for visitors and you will absolutely not have to worry about finding your destination. You can further avail our City tour services to plan your city tour with us for a stress free trip. Our chauffer will meet and greet you at the DTW metropolitan airport’s Baggage Claim Area for domestic arrivals and outside customs clearance area for international arrivals. Our pricing is cost effective priced with general affordability in mind. Everyone can enjoy a sumptuous car drive with us. Our courteous and professional drivers make sure that quality is not compromised upon ever at any time. Safety and security is our number one priority and we boast of our punctuality and consistency in our service performance. Compare it to rival services, metered taxis and public transport, you will surely find the prices are at par, whilst offering a much more comfortable and personal service. A-1 is not a metered taxi service and we rather have flat rates between destinations. 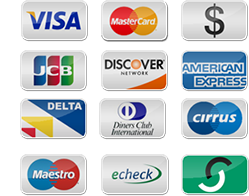 Please check our rates page here. To book a service for Detroit Airport Transfer for yourself, you simply need to call in our office number 877-276-1335, send us a mail at info@a-1airportcars.com or best would be to make an online booking and reserve for yourself the luxurious ride you want. Our executives will help you with any questions or queries that you may have. Please refer our FAQ and policies section which will answer some of your frequent doubts. We recommend you tot make booking with the fully guided online Reservation system for an error free seamless experience. We assure you’ll experience a transparent and convenient way of dealing at every step. We urge you to avail our services and let us prove our word. The recommend arrival to Detroit Metropolitan Wayne County Airport is advised at least two hours early for domestic flights and three hours prior to any international flights. After checking in you head for the TSA checkpoint. The most frequent pickup spots for DTW Metropolitan airport are: McNamara Terminal (Aeromexico, Air France, Delta, KLM) North Terminal (Air Canada, AirTran, American, American Eagle, Continental, Continental Express Frontier, Lufthansa, Royal Jordanian, Southwest, Spirit, United, United Express, US Airways, US Airways Express, USA 3000) Our experienced Customer Service Representatives and Dispatchers are trained to be able to talk you to your pick-up point based just upon your description of where you are at the airport. They will check the directions to your terminal, track your flight and drop you at time.